Dentures are used by those people who have lost their real teeth. There are two types of dentures i.e. partial and complete dentures. In this article, we will be talking only about partial dentures. Partial dentures refers to artificial teeth which are fitted in to the jaws when one or more than one real tooth is present in the mouth. 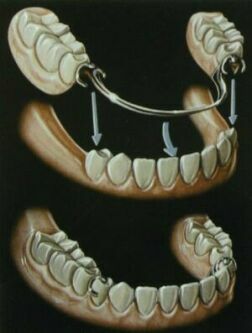 Artificial teeth are attached to a permanent kind of bridge which is cemented in to the jaw. Partial dentures fill up the spaces which are left by lost teeth. Precision partial dentures are removable and they are preferred by a lot of people. It is also important to get an idea about the cost of partial dentures before opting for them. Partial dentures are also known by the name of flippers. Dental implants are more costly than partial dentures. Therefore, a lot of people are going for them at present. The type of partial dentures which are bought by the people largely affects their price. The cost of partial dentures may also depend upon the dentist chosen by you for this procedure. There may be a lot of people who might be facing different types of problems related to partial dentures. 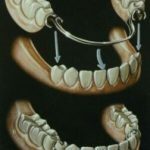 Though partial dentures are fitted in the mouth for solving different problems of the people, they may cause some problems in case they get loose. Different people may face different kinds of problems with dentures. With an increase in age, the mouths of people begin to shrink. This makes the dentures loose. Such people face different problems in chewing their food or general discomfort. When the food is not chewed in the mouth properly then it affects the digestion process in a negative manner. In order to make sure that the dentures stay in good position and no such problems occur, one should visit a dentist on a regular basis. Dentists will be able to make a few adjustments in your dentures for making them more comfortable. You should tell about the problems you face due to your dentures to the dentist. Only then he will be able to help you.